What to Look for in a Water Restoration Company? How Often Should I Clean My Carpet? When you furnish your home, you have to decide on a focal point for each room. If you pick an Oriental rug as your choice for the living room or bedroom, not only should you vacuum it regularly, but you should get professional carpet cleaning every once in a while. Although Oriental rugs come in intricate designs, you will likely notice the dirt and stains, especially on a focal piece. It is best to get rid of these blemishes as soon as you notice them. While you can handle most of the cleaning on your own, heavy soil and stains are best eliminated by a professional. Tile and hardwood are easier to keep clean because all you have to do is sweep and mop the surfaces on a consistent basis. However, carpet and rugs are different because dirt particles can get stuck in the pile, and unless you have a professional-grade vacuum, the dirt can stick around for a long time. 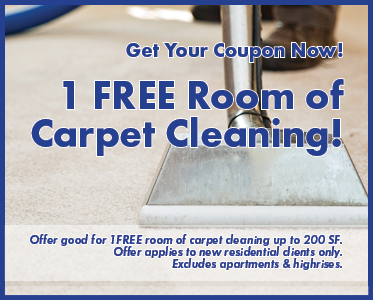 Carpet cleaning will make your Oriental rug spotless, so you can walk around barefoot or in socks with confidence. If you do not catch a stain in time, you will have a tough time getting it out on your own. However, a stain does not really reach a point in which it stops settling into the material, so not treating a stain in an Oriental rug for several years will make it extremely challenging to get out. It is best to clean your rug on an annual basis, but do not hesitate to get it done more frequently to take care of stains. Investing in a nice Oriental rug means that you have to spend a decent amount of money, so the idea of replacing your rug might not sound too appealing. However, instead of thinking that your Oriental rug is doomed to looking worn down, you can get it cleaned to bring it back to life again. Contact us if you have any questions about cleaning your rugs. ©2016 Clean USA. Do not copy. All rights reserved.